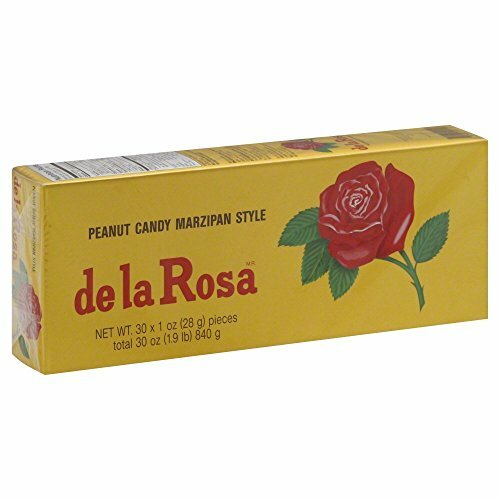 Peanut Marzipan style candy. 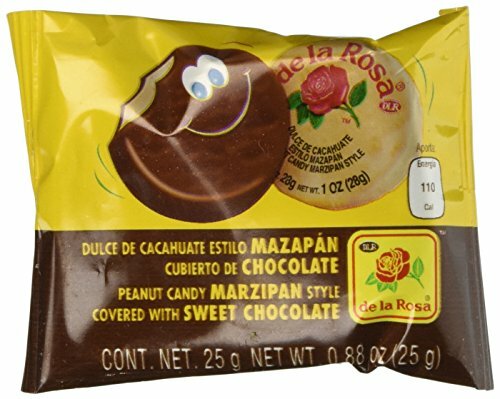 Dulce de cacahuate estilo mazapan. 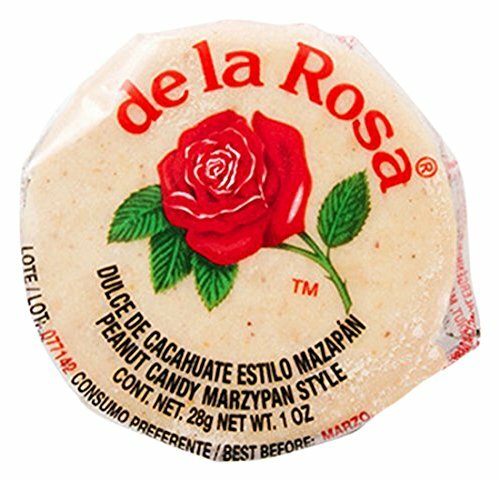 Marzipan is a confection consisting primarily of sugar and peanut powder. 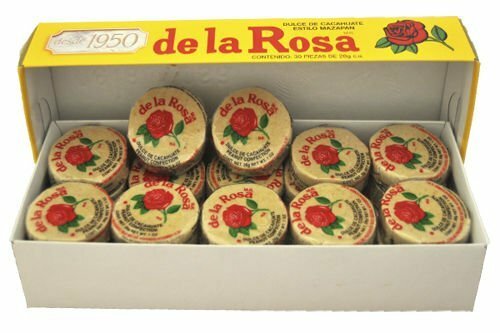 This product does not contain any preservatives. 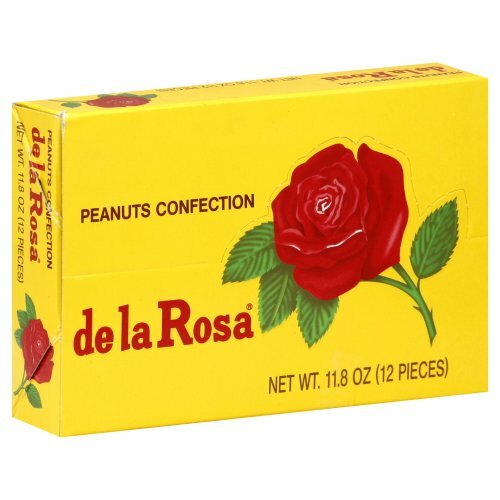 Peanut candy Marzipan Style. 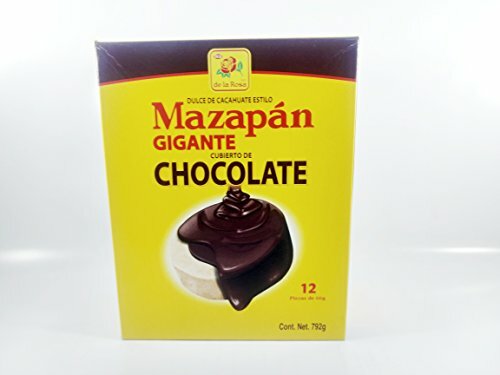 Order is for TWO boxes of Mazapan with 30 pieces each for the shipping price of one. 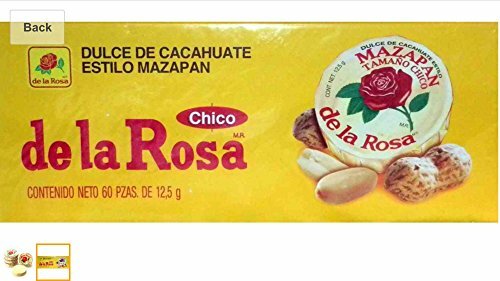 MAZAPAN DE LA ROSA CUEBIERTO DE CHOCOLATE/ PEANUTS COVERED CHOCOLATE CANDY MAZAPAN MEXICAN CANDY 12 PCS WITH 66 GR MAZAPAN DE LA ROSA / PEANUTS CANDY MAZAPAN MEXICAN CANDY 12 PCS WITH 66 GR Include 12 pieces of 66 grs each one. 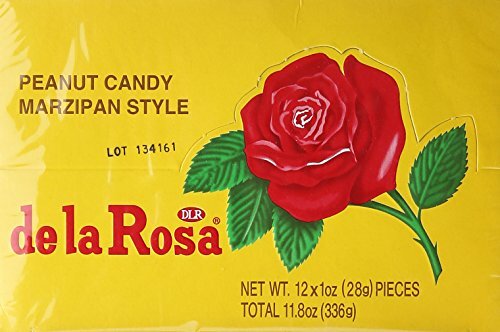 Its fresher because we buy it directly from the factory Made in México. 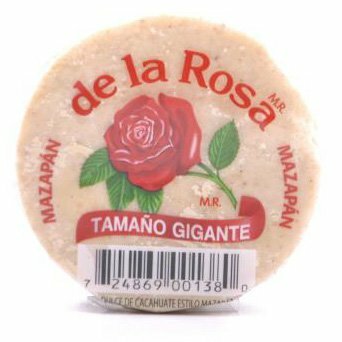 Compare prices on Mazapan De La Rosa at ShoppinGent.com – use promo codes and coupons for best offers and deals. Start smart buying with ShoppinGent.com right now and choose your golden price on every purchase.